Thursday 11 am 4 pm. Border Auctions Ltd is a family run business situated at Hawick in the Scottish Borders. 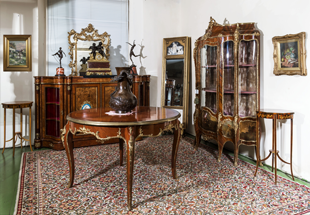 Our team are experienced in the field of antiques and are available to give you the seller a valuation service. Using our web site gives you a chance to browse through our catalogue as it is compiled for the next sale. Therefore you will not miss out on the item you have been searching for. On the other hand if you are looking for something special to buy, auctions are a fantastic source of many interesting items and rare lots. We offer a valuation service on antiques, furniture and collectable's for a fee. We can arrange to collect your items for auction or deliver items purchased at the auction if required, depending on the location and amount of items. We can collect or you can deliver direct to our sale rooms situated in Garfield Street, Hawick.